Cars & Coffee Myrtle Beach is an event that meets the 1st Sunday of every month at Bagel Factory II – Forest Square, 2112 Oakheart Road, Carolina Forest, Myrtle Beach, SC. It’s free to the public and car owners alike. Come view some nice cars and interact with other car lovers. We welcome all owners of hot rods, american muscle cars, sports cars, British classics and basically anything that has four wheels or more. Each participant gets a free cup o’ joe just for showing up courtesy of The Bagel Factory. GSCC and MaggiD’s presents a “CRUISE IN” at Maggi D’s 407 Seaboard Ave (behind Coastal Grand Mall), Music by Chris Roach, the music starts at 11 and runs until 2pm. , 50/50, trophies for top three winners and their will be give aways. Sam Sneads Oak Bar and Grill Cruise In, May 18th, 2019 11:00 AM to 2:00 PM Hosted by Grand Strand Corvette Club, Music by Chris Roach,50/50, Trophies and door prizes. 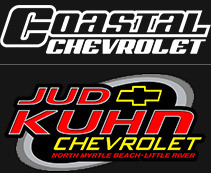 The Grand Strand Corvette Club will be having their 7th Annual open Car Show at Jud Kuhn Chevrolet, Reg. 9:00AM-11:30AM $20 Per Vehicle. All vehicles Welcome. Top 3 trophies in 6 categories, 50/50 and music.